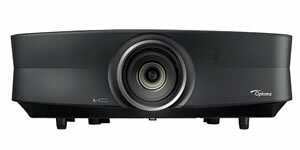 Click the button below to add the NEW Optoma Pro UHZ65 HDR 4K Ultra HD Laser Light Source Home Cinema Projector CALL FOR LOWEST PRICE IN CANADA to your wish list. Call 877-825-1705 or sales@consignia.ca for BLACK FRIDAY PRICING! New 4K UHD Laser Model for 2017/2018! Great product! Best customer service!! Came across this projector as I had the UHD65. I asked for the latest C11 firmware but Optoma sent me the C08 one by mistake. Jason was really helpful and got me a contact for the firmware upgrade. Thanks a lot! using a Apple 4k TV which is an excellent source for Netflix and the other various 4 k providers. Whatever you decide to buy UHD or UHZ deal with consignia as they are a very customer service orientated company and provide great service and prompt delivery .